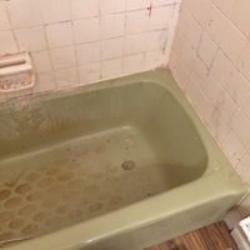 Has your bathtub seen better days? No matter how much you scrub it, there are stains that just will not go away and the finish looks dull and rusty. You used to love your bathtub. Remember when it was your sanctuary to relax in after a stressful day. Now, it’s something that is giving you stress than relaxation. You cannot get it back to its bright white finish no matter how hard you clean it, so does this mean it is time to replace it? 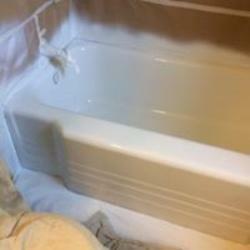 Replacing a bathtub can be a very involved process. 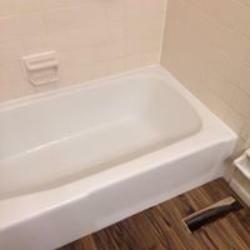 Besides choosing and purchasing a new tub, you also have to choose someone qualified to replace it. This can involve removing the tub in pieces so that it will fit through your door. It can also involve removing the trim, the fixtures, and some flooring. A much better option is reglazing your bathtub. It’s a much more cost efficient solution as it typically costs just a few hundred dollars depending on several factors. But, it is a much more simple process which requires less disruption. Our highly skilled specialist will sand the top coat down and repair any holes or scratches. After this, we apply a special primer and then a high-end sealant. The finish lasts up to 15 years which makes reglazing a highly affordable and a practical option. You can do the reglazing yourself and the reglazing kits are available at home improvement stores for about $50-$75 but if you have no experience doing this kind of work, then we strongly recommend leaving it to the professionals as you will be working with very strong chemicals and solutions. Another advantage to using our top-notch service is that we guarantee our work and everything comes with a 1 year warranty. Also, we can advise you on numerous other issues that may come up during the reglazing process as we’ve seen it all during our 10+ years in business. Call us at 614-477-7672, we love to chat.